Even before your son or daughter gets his or her first tooth, it's time to start investing in their dental health. Good dental care helps your child avoid cavities. Starting early with brushing and flossing also helps your child develop good dental care habits. Keep in mind these ten signs that you should invest in your child's teeth so he or she can have a lifetime of good dental health. 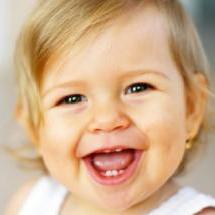 As soon as your child starts showing signs of teething; it's time to start investing in his or her teeth. Use a clean, damp washcloth to rub his or her gums. This will get your child in the habit of having their teeth cared for from an early age. 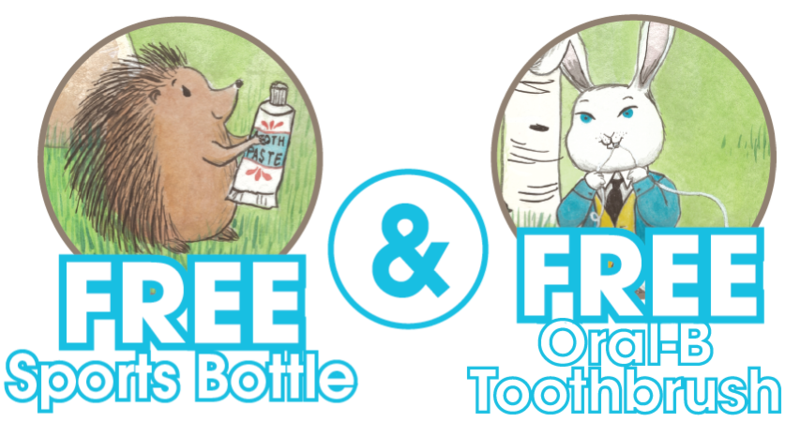 As soon as your child gets his or her first tooth, it's time to brush with baby toothpaste. Use a soft bristled brush for your young child's teeth. Put a dab of toothpaste onto the brush and gently clean the tooth. You can also lightly brush the gums. Give your baby or toddler his or her own toothbrush so he or she can help brush his or her teeth. Once your child has two or more teeth next to each other that are touching on the sides, it's time to start flossing. Floss helps get out bits of food stuck between your child's teeth. Once these bits of food are out, it's easier for the brush to clean the teeth. Flossing takes less than a minute. You can buy fun flavors of floss like vanilla and bubble gum for kids. If your child's teeth are crowded together, your dentist may suggest orthodontic care. An orthodontist is a special dentist that helps make your teeth straight. The orthodontist can help make more space if your teeth are crowded together. Getting your teeth straightened makes it easier to keep them clean and healthy. You might get braces to help straighten your teeth. Braces can come in different colors. The orthodontist fits them on the front or back of your teeth. You'll visit the orthodontist about once a month to have your braces checked. If one of your child's teeth hurts, he or she should go to the dentist. The dentist can check to see if there is a cavity in the tooth that is hurting. If there is a cavity, your dentist can put in a filling. Getting a filling doesn't hurt. The filling will match the color of the tooth and your child won't even notice that it is there. It's important to get any mouth pain checked as soon as possible. Filling the cavity helps make sure your tooth stays healthy. If it hurts your child to eat ice cream or drink hot chocolate, these are signs of tooth sensitivity or even cavities. When your child has sensitive teeth, it can be painful to eat or drink hot, cold or sweet foods and drinks. You can invest in dental care like fillings or fluoride treatments that reduce sensitivity. If your child feels embarrassed about his or her smile, your dentist can help. Your dentist can help your son or daughter feel better about his or her teeth. Dentists can do polishing to make the teeth whiter or do other dental treatments to help boost your child's self-esteem. Trouble chewing is a sign that your child should see the dentist. Your dentist can help get your child's teeth aligned so chewing doesn't hurt. Good tooth alignment allows your child to eat a variety of healthy and tasty foods like apples and carrots. When you lose your baby teeth earlier or later than normal, this can cause issues for your adult teeth. Your dentist can check to see what's going on with the baby teeth. Overbite is when your top teeth stick out more than they should. An overbite makes it hard to chew, speak or smile. If you have an overbite, your dentist may recommend braces or other treatments. Braces are an investment for a lifetime of healthy and beautiful teeth.